Aluminium Pedal Set for 2010-2016 genesis coupe, 2.0L and 3.8L, automatic and manual transmission. Artx Alu Cup Holder Plate for Genesis coupe 2010-2016 is a great way to add a premium, sporty look to your interior. 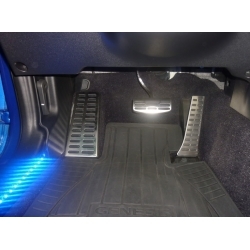 Artx Alu Door Catch Plates for Genesis coupe 2010-2012 are installed in the door catch housing of each door. Original Hyundai Mobis shift knob for 2010-2012 Genesis Coupe with automatic transmission, 2.0L and 3.8L. 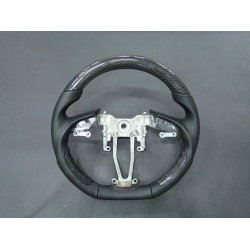 Black Carbon Fiber Cut Steering Wheel is genuine oem part wrapped with real carbon fiber and leather. 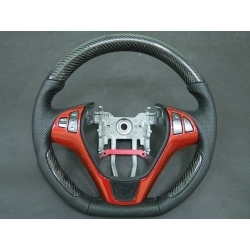 Black&Red Carbon Fiber Cut Steering Wheel is genuine oem part wrapped with real carbon fiber and leather. 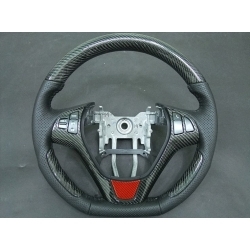 Carbon Fiber Steering Wheel is genuine oem part wrapped with real carbon fiber and leather. 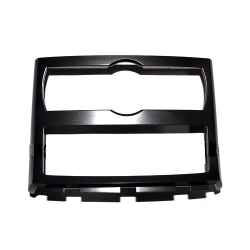 Center Chrome Cup Holder is genuine hyundai mobis part with perfect fit and finish. 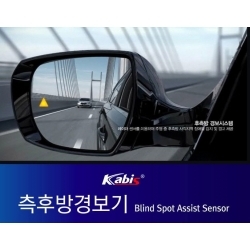 Fits 2010-2016 genesis coupe. Center OEM Fascia for 2010-2012 genesis coupe fits models with GPS navigation and automatic air conditioning unit. CF Cut Steering Wheel with Red Insert is genuine oem part wrapped with real carbon fiber and leather. 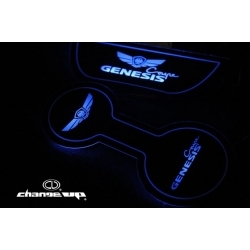 Cupholder LED Plate made by Changeup Korea is one of it's kind with unique design of genesis logo and bright illumination.